Clockwise has been working with Mobile Health for many years. 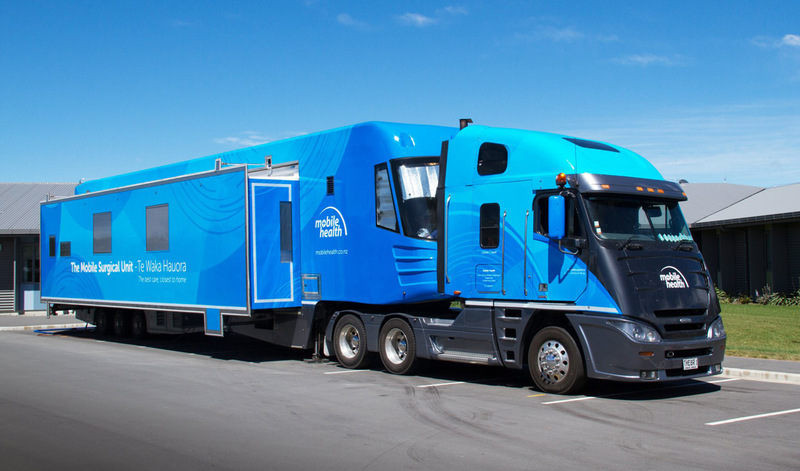 Mobile Health enables healthcare, education and day surgery closer to home for rural New Zealanders. Mobile Health’s visual identity was modernised and re-designed recently. It’s branding as a whole given a new brighter and engaging appearance. The brand was required to be suitably clinical for the medical sector, yet still friendly and approachable for the public and patients. The fresher colour scheme, friendly rounded fonts, and an overall clean modern design all help to establish a successful brand that holds that balance. Clockwise continues to design ongoing projects and event promotional material for Mobile Health. For the more in-depth Mobile Health case study story, click here. Above: Mobile Health logo, can be used both on the blue branding design pattern or alone on a white background. Above: The new Mobile Health patient information packs. Presented to patients before they go for their day surgery with everything they need to know about their visit to the surgical unit. 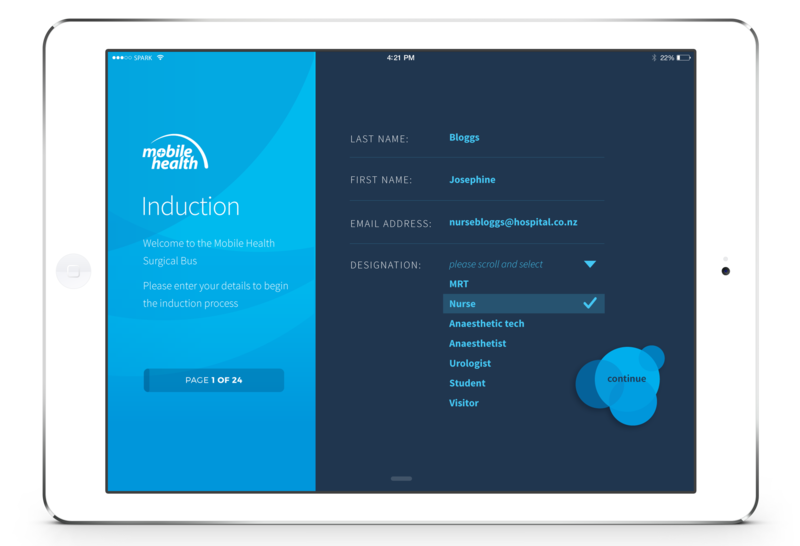 Mobile Health Induction App design specs and layout was created by Clockwise. App build was outsourced. 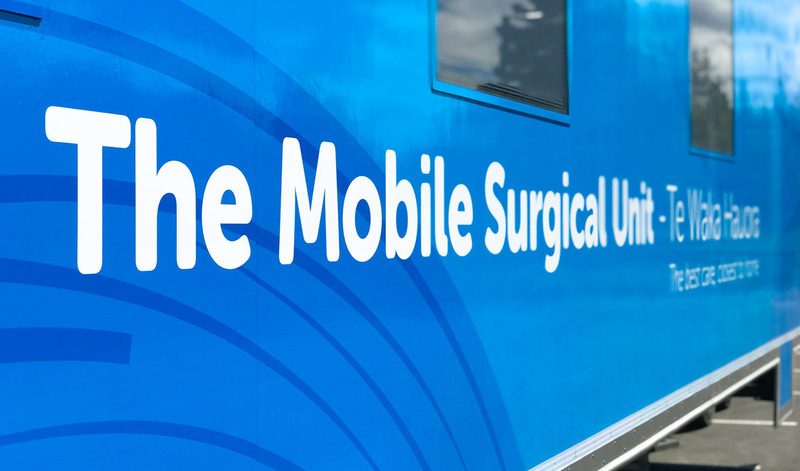 Above: The new Mobile Health branding applied to the surgical bus. Clockwise Design continues to work with Mobile Health and create various event branding design and martketing material. For more on the Mobile Health branding story, visit the more in-depth case study.